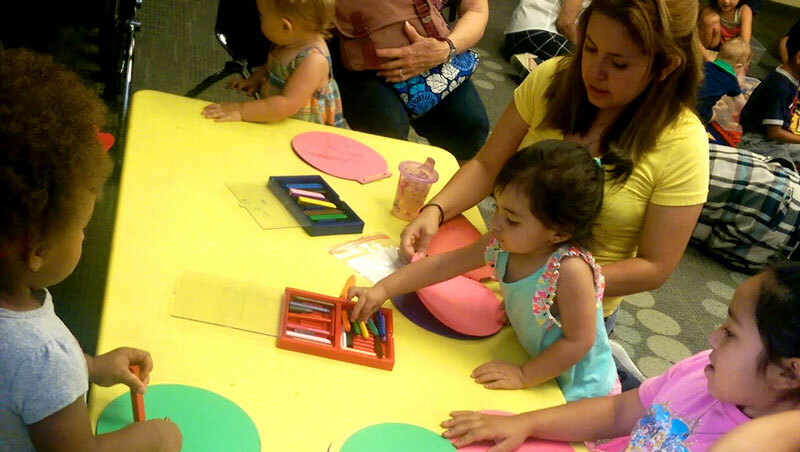 In conjunction with the San Antonio Public Library, Xelena and Adriana led an early-literacy-based “Play & Learn” program that centred around their story. Themes included gardening, rainbows, circles, and family. Each activity included some component of early literacy practices (reading, writing, talking, singing, and playing). Please contact the creators to request a list of these activities to replicate in your library, home, or learning center. It is also possible to incorporate one or more of these activities into a scheduled visit.